Each year I have a lemonade stand on World Water Day to raise money for Wine To Water. I started having lemonade stands after my mom volunteered on a Wine To Water trip. I wanted to be able to help too. When people come to my lemonade stands, we all laugh, play, and are happy. With the money I raise, we're not just giving people clean water, we're also giving them love. I love helping people because it makes me feel happy, and it's important to help people who need it. No matter how old you are, you can still help people. Even if you can't go on a Wine To Water trip, you can still help people get clean water from here at home. 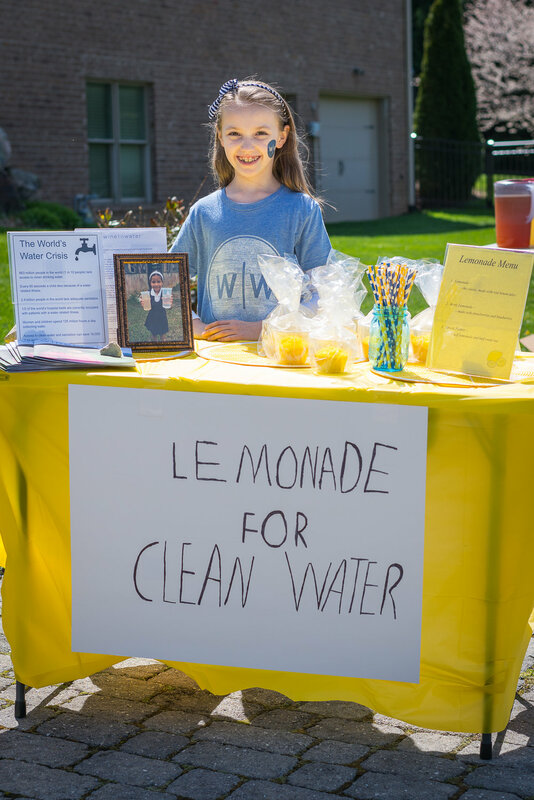 I want to keep having lemonade stands for World Water Day. I hope to help as many people as I can, but even if I can give clean water to just one person, that means a lot.